Copyright © 1994 by the Confederate Air Force and Bob Worley. All rights reserved. Originally published in The Dispatch magazine, Volume 19, Number 4, Winter, 1994 edition. 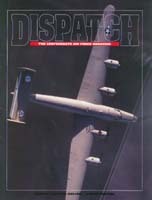 If you are interested in subscribing to The Dispatch please write to The Commemorative Air Force, ATTN: Dispatch Editor, PO Box 62000, Midland, TX 79711-2000 or call (432) 563-1000. Reproduced with permission. August 1,1943; 0400: The Libyan sun was beginning to break in the east; the B-24 named Lil Abner roared down the runway at Benghazi loaded with 1,000 and 2,000 pound bombs. Operation "Tidal Wave," the most highly decorated military mission in U.S. history, was under way with five men on a course to earn Medals of Honor. One hundred seventy nine B-24s were taking off on an 18-hour, 2,400 mile round-trip mission to destroy the largest Nazi-held refineries, located in Ploesti, Rumania. Flying on Teggie Anne, Brigadier General Uzal G. Ent, one of the original planners of Operation Tidal Wave, felt he had a well conceived, innovative plan  a low level bombing sweep over Ploesti which, if executed as planned, would devastate the Rumanian refinery complex. The two veteran bomb groups of the Ninth Air Force, the 376th and 98th, were reinforced for the mission by the 93rd, 44th and 389th Bomb Groups, on loan from the Eighth Air Force. The 389th crews were considered to be "rookies." Virtually all five groups were in the air by 0500, even though three groups were delayed at takeoff due to the dust stirred up by the mass of planes taking off on an unpaved runway. The ground crews, who had awakened much earlier to perform their tasks, watched their planes with awe. In this initial stage, one catastrophe occurred, foreshadowing the terror that lay ahead. Kickapoo, belonging to the 98th BG, experienced engine failure on takeoff and crashed into a telephone pole while attempting a blind landing amongst the dust. The rest of the 1,726 American men that took off that bright, hot August morning started off well, carrying a combined load of demolition bombs in excess of 300 tons. They were prepared to wreak havoc on the enemy, if all went well. As the last of the planes cleared Benghazi air space and formed up high over the Libyan desert, they turned north and headed to what would later be referred to as "Hell over Ploesti." The weather was perfect as the air fleet cruised the Mediterranean. The groups had little difficulty maintaining visual contact as they flew at an altitude of 2,000 to 3,000 feet. Flying in Lil Abner, Lt. Walter Sorenson, was operating as navigator for the Liberator piloted by Worden Weaver. Sorenson knew that this would be a day for the history books. If the raid was successful, it would be hailed as a brilliant idea. However, if unsuccessful, it could go down as one of the U.S. Army Air Forces biggest blunders. Lil Abner carried more than two tons of bombs, many with hour-long delayed fuses. Included among its ordnance were 300 pounds of incendiary explosive sticks that were to be hand-thrown by the gunners to start fires on the target area. The crews of the large planes had undergone intense training for several weeks for this first-ever, low level, coordinated, daylight raid. They would be blasting the oil refinery at altitudes ranging from 30 to 100 feet above the ground while traveling at speeds of 225 miles an hour. The new Norden bomb sights would be of no use on this type of raid. "When you are that low to the ground, you can really tell how fast you are traveling," Sorenson said recalling the mission.  "If you are a few thousand feet high, it is difficult to tell how much you are really moving," he added. After three hours of flight, the armada of aircraft came within sight of Corfu Island in the lonian Sea, off the coast of Albania. To this point, the mission had been running as planned. However, beginning the climb to 10,000 feet, the wings of Wongo Wongo, the lead B-24, started wobbling. Suddenly the aircraft went out of control and plunged into the sea, exploding and sinking immediately, taking with it the entire crew, including one of only two navigators to receive special briefings on the mission. In an effort to look for survivors, the deputy lead plane flying in the number two position, dropped out of formation. Not able to regain altitude, the overloaded plane was forced to turn back to base taking home the only other navigator to receive a special briefing. The climb also proved to be an obstacle for 12 other planes that were forced to abort because of mechanical problems, such as engine failure or fuel leaks. For those who remained to face the dangers ahead, the only respite from tension and boredom was the passing out of tasteless cold prepacked lunches and the bittersweet wisecracks on the inter-ship communications. Trained to react to the situation, Lt. John Palm, flying Brewery Wagon, moved from his number three position, into the lead position. Col. Keith Compton, the group commander and leader of the 376th, slid from his number five position to the number two or deputy lead position. As the planes finally reached land, a potential problem arose. The flyers spotted a front of huge cumulus clouds, reaching from below the 9,000 feet peaks of the Pindis Mountains up to 17,000 feet. Not able to break silence to discuss options with the other leaders, Compton, leading the 376th BG, began a steep climb with Col. Edward Baker of the 93rd BC following over the top. By the time the three trailing groups had reached the cumulus clouds, Compton and Baker were out of sight. Unsure of how the other formations had confronted the obstacle, the trailing groups, including Col. John R. "Killer" Kanes 98th BG and Col. Leon Johnsons 44th BG, chose to utilize USAAF standard procedures, and basically flew through the clouds at 12,000 feet to avoid the hidden peaks. Although the clouds were an unforseen hurdle and depleted the fuel of the attacking B-24s, they would prove to be the cause of a more serious problem. The flights, now divided into two packets, were separated. The first packet, made up of the 376th and the 93rd, were now 60 miles ahead of the other three groups  neither knowing where the others were. Taking over as lead navigator, Lt. William Wright, who was flying on Brewery Wagon, led the first group to Loin, a small town just south of the border between Bulgaria and Rumania. The planes remaining from the other three groups were 15 minutes behind the lead group. As the flight of bombers continued, another mishap would occur. Flying in Tegge Ann, Col. Compton and General Ent, would turn early leading 58 B-24s of the 376th and 93rd BGs to the city of Bucharest, 35 miles south of Ploesti. Lt. Palm, in the lead B-24, recognized the error first, and turned, alone, towards Ploesti. Finally realizing their error, Compton and Ent broke radio silence and verified that a mistake had been made. With a sharp turn to the left, the 376th and 93rd bombers were back on course, heading north to their target. Arriving at the south edge of Ploesti, the formation was met by heavy flak as they prepared to start their bombing run. Again Ent initiated a change in plans. In hopes of avoiding the defenders gunfire, he ordered Compton to skirt around the eastern part of town and to come in from the north. Following this order, Ent went on the air releasing all pilots from the planned discipline, allowing them to bomb "targets of opportunity." This order subsequently would cause chaos, as the 376th would bomb targets assigned to Kane and Johnson. Col. Kane, leading the 98th BG, and followed by the 44th and 389th, failed to find the two lead groups after being separated in the flight over the mountains. After searching for them over the Danube for a few minutes, he turned toward Ploesti. "We knew we had gotten separated from the other group because we should have been able to see each other," said Sorenson, whose Lil Abner was with Kanes packet. "We were so confused at this point that some of our planes flew as far off course as to reach Bucharest before returning to a correct course. We missed our IPs, and the villages that were supposed to be landmarks were just a wide place in the roads," Sorenson added. Despite the terrible confusion, an improvised attack was delivered on Ploesti, between 1150 and 1200 hours, at altitudes ranging from 30 to 100 feet. The planes were so low, they had to gain altitude to miss some roof tops. They ran head-long into heavy flak and were taking many direct hits. Although the 376th dropped most of their bombs in the general target area, only a small part of them hit assigned targets. "We thought they were haystacks"
"While all this confusion was going on we were encountering the heaviest flak and small-arms fire we had ever seen. We were being shot at by what we thought were haystacks. Planes were going down right and left. Our plane was hit and caught fire," Sorenson said. Lil Abner came out of the attack with three engines shut down, and most of her controls shot away. Weaver kept the plane in the air for 40 miles after the bomb run. He crash-landed as his wing tipped the ground and skidded to a stop. The nose was rolled under the belly of the ship. William Schettler, the flight engineer from Coquilla, Ore., was crushed to death under the fallen top turret. The wrecked plane started to burn. Six men escaped the carnage by scrambling out of the back of the plane. Both pilots and Sorenson, the navigator, were imprisoned in the cockpit. Weaver knocked a hole in the windshield large enough to climb through. Sorenson attempted to follow but got tangled up with his parachute harness and was stuck half-in and half-out of the hole. Robert Snyder, the co-pilot from Oakland, Calif., was trapped behind Sorenson as flames moved toward them. The bombardier, Lloyd Reese, from Columbus, Ohio, fought his way through the flames to cut Sorensons harness while others pulled him to safety. Snyder followed close behind. "A German fighter plane kept circling over our wrecked plane. I guess he was reporting our position. We all ran to a nearby farm house where some women treated our burns as best they could before enemy troops showed up and took us away," Sorenson said. Sorenson was a captive from Aug.1, 1943, to Aug. 31, 1944, and spent eight months being treated for his burns in a German hospital. The Ploesti raid was an act of courage for all the men who participated, but five particular individuals were awarded the Medal of Honor. In addition to Kane and Johnson who survived, three other officers were awarded the Medal of Honor for heroic action that took their lives  Col. Addison Baker of Akron, Ohio, and Maj. John Jerstad from Racine, Wis., who flew in the same plane, Hells Wench, and 2nd Lt. Lloyd Hughes from Refugio, Texas. At the height of the raid, Hughess plane was shot up and was streaming fuel from the left wing. The leak was so heavy that it was blinding his waist gunners view. Hughes continued to hold his plane in formation at 30 feet, knowing full well that if he didnt pull up he would be flying through walls of fire with gas spraying from his wing. He flew straight through the walls of fire and dropped his bomb load on target. When he had flown through the holocaust, his left wing was a ball of flames. Hughes attempted to pull up and away from the action, trying to save his plane and crew. He successfully slowed the planes speed from 225 to 100 miles an hour. It looked as if he was going to be able to crash land when suddenly the left wing flew off and the plane cartwheeled into the ground. All in the plane were killed. Baker and Jerstads Medal of Honor were earned while leading their groups into battIe. Bakers Hells Wench had early in the attack struck a balloon cable. The plane had severed the cable and the balloon drifted away before the plane took a direct hit in the nose section. Seriously damaged, fire spread through the ship. Baker was forced to jettison his bomb load to stay in the air and continue to lead his formation. The plane was in flames for well over three minutes and still Baker led his group to their assigned targets, incredibly maneuvering between groups of 50-foot tall smokestacks. After successfully leading his formation to their target, Hells Wench, took another hit from an 88 shell. Baker, trying to escape Ploesti, hauled back on the controls of Hells Wench and fought for altitude. Needing to reach at least 500 feet to allow the crew to bail out, Hells Wench finally fell off on her right wing and crashed, taking the entire crew to its death. Upon arriving at their assigned targets, Col. Johnson, leading the 44th BG, and Col. Kane, leading the 98th BG, were dismayed to discover that an attack had already been initiated. Facing a tough decision, both commanders continued their bomb runs into the smoke and fire, not knowing what they would be flying into, or what would be awaiting them. It would have been highly justifiable for either man to abort the mission, but both continued the bomb run, with the possibility of hidden chimneys, barrage cables, and not knowing how many 45 second delayed action bombs would be under them. The two men were awarded the Medal of Honor for their decision to continue their assigned mission despite the horrendous possibilities. Of the 179 B-24s which began the mission, 165 attacked Ploesti or another target, 33 were lost to anti-aircraft fire and ten were shot down by Axis fighters. Twenty-three aircraft were forced down in Turkey or at other auxiliary fields, while 99 returned to base, but of these returning, 58 had heavy combat damage. The results of these sacrifices were that the two targets attacked as planned (Blue 1 and Red 1) were put out of commission for the rest of the war. Two (White 4 and White 5) were knocked out of production for about six months, and White 2 lost about 40 percent of its capacity, but remained in production. Two targets, White 1 and White 3 received only light damage. War is full of what ifs. What if the groups had not been separated by the weather over Albania? What if the lead groups had not made a wrong turn at Targoviste? Some historians note that if the Tidal Wave mission had gone as planned, as much as 90 percent of the Ploesti complex would have been destroyed or severely crippled. The final series of attacks on Ploesti began in May 1944, led by the Fifteenth Air Force, based in Italy. Attacks by 500 to over 700 bombers continued, including RAF night raids, until Aug. 24, 1944, when Rumania surrendered. A few days later, Soviet ground troops entered the ruins of Ploesti.